The process had me wondering about the children in my own class. Despite providing modelling and giving written instructions, I often find myself frustrated at the number of ‘low level’ procedural questions I field in class. Perhaps my help was part of the problem? Was my it creating a culture of dependency in the classroom? I followed ISHCMC’s of giving instructions and then stepping out of the way. This week I introduced my class to scratch programming. 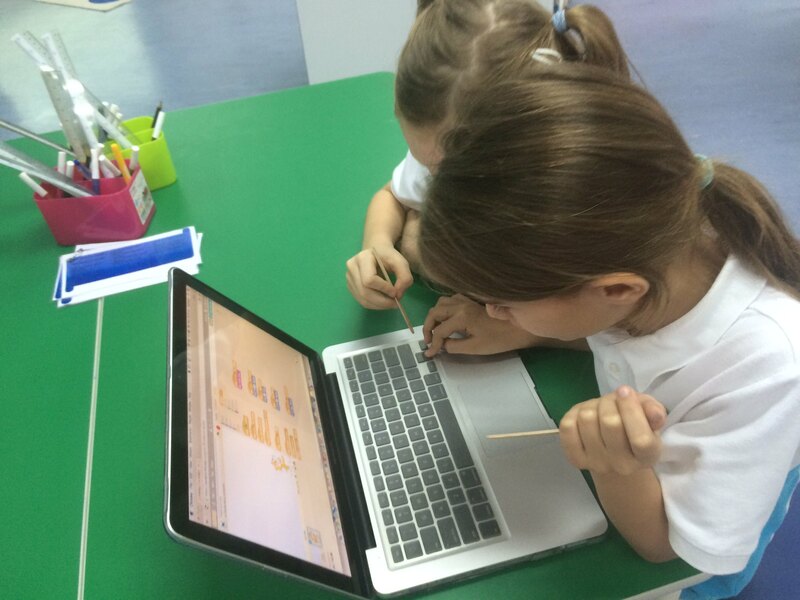 The children were challenged to have a play with scratch – logging into the class account and getting their character to rotate, jump and play a sound. There was a catch – in pairs the children were give two popsicle sticks which represented the two questions they could ask an adult in the room. Sure enough, some teams blew their questions quickly by not following instructions written on the board or not typing in the URL correctly. Others were more judicious with their questions to adults – preferring to ask a peer or figure problems out for themselves ‘we needed to save a stick for something really important’ one of the children mentioned. Many groups still had two popsicle sticks at the end of the challenge. A lot of groups had figured out a whole host of other features on scratch that I hadn’t modelled. What was interesting about the experience was the gender split. The groups that lost popsicle sticks were exclusively all-boy pairs, the teams that kept both sticks were predominately girls. The gender-mixed teams retained at least one stick. Never before had I seen how stark my time was split as a teacher. The experience had me pondering the lack of women represented in science and technology fields. Is the boys ability to dominate teacher time with low-level questioning enabling them to overcome the same obstacles the girls faced earlier leaving more time for creative play and experimenting? Certainly both my and my classroom assistant were able to interact with a great number of children than we usually would and were having higher quality interactions with the children. The experience has made me more mindful of how time is being used in the classroom. I love this. Great idea to use the sticks. Did you debrief after this? Were the girls reluctant to ask for help or were they succeeding without asking for help? Really interesting experiment. Hi Bridget yes we did debrief which is where the girls talked about helping each other rather than ‘wasting’ a stick. I’m going to follow this up after holidays with moving on to what smart questions look like.